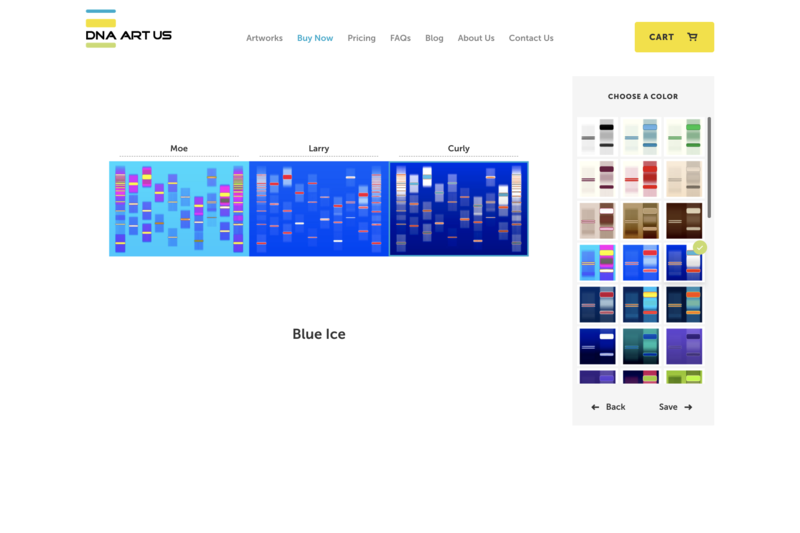 DNA Art US provides some of the most unique artwork in the world, fabricating patterns based on your own DNA. 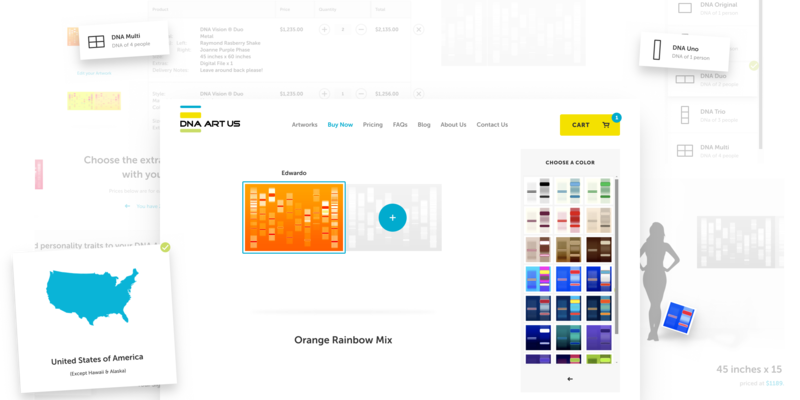 With art that is truly one-of-a-kind, we worked with DNA Art US to make a brand new website experience that matched the creativity of their artwork. 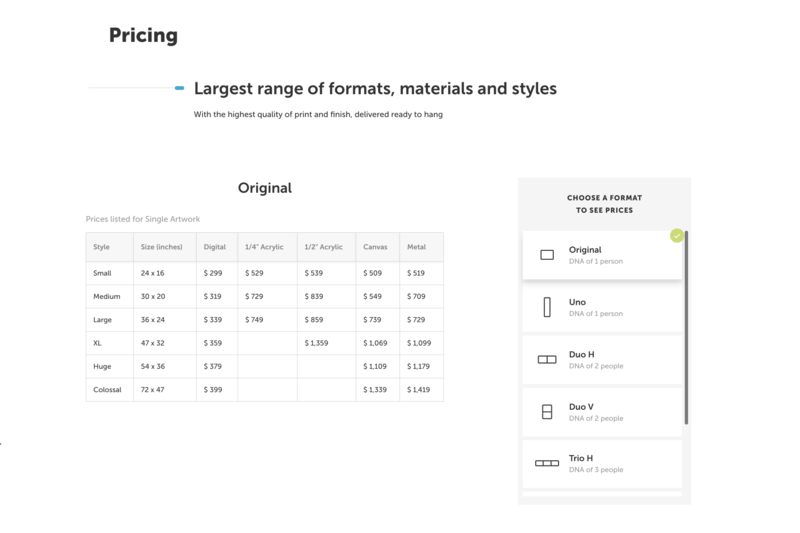 Given the myriad of options available for any customer, it was imperative that we clearly outlined formats, materials, and extras, and created a truly intuitive customization process. 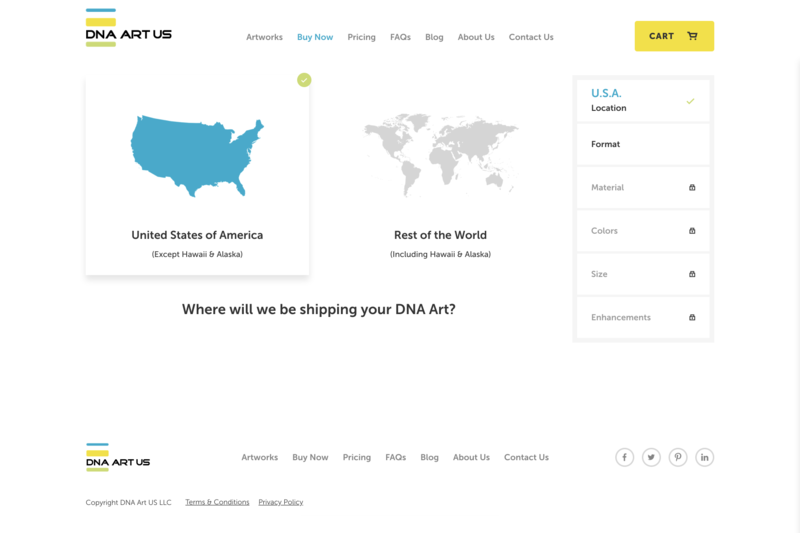 The main concern with the previous DNA Art US website was its lack of mobile compatibility. 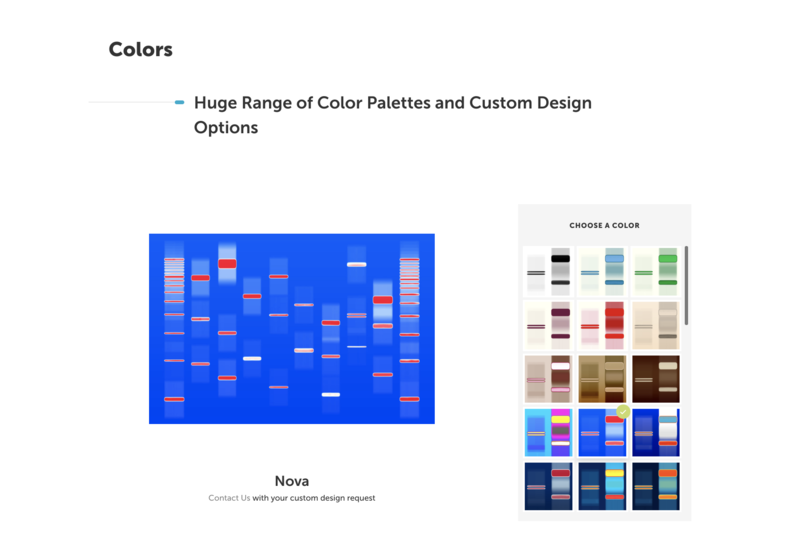 Furthermore, the e-commerce portion was not as smooth as it could have been. 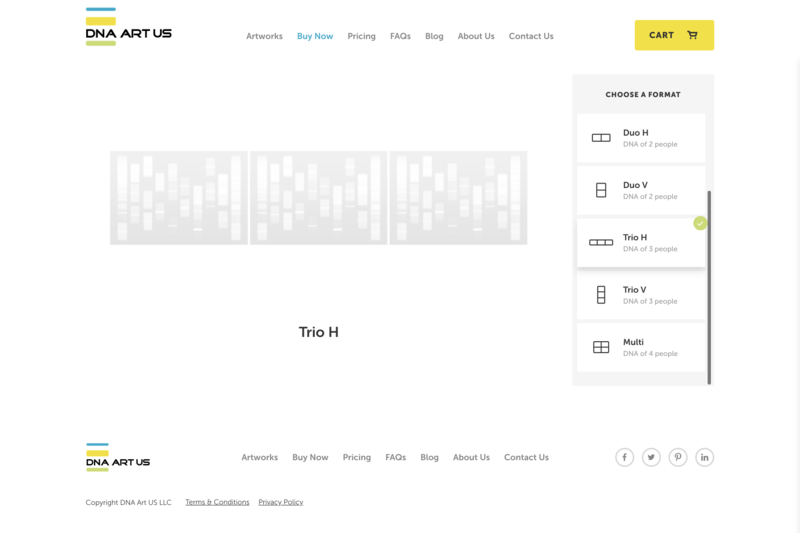 So, the crux of our design planning was in making a mobile-friendly interface and refining the buy now process. 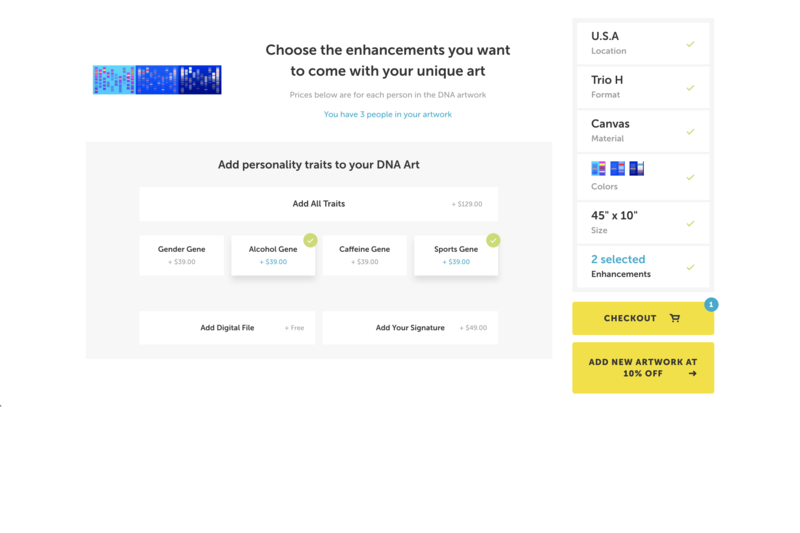 Site-wide, there are several avenues directing users to purchase DNA art. 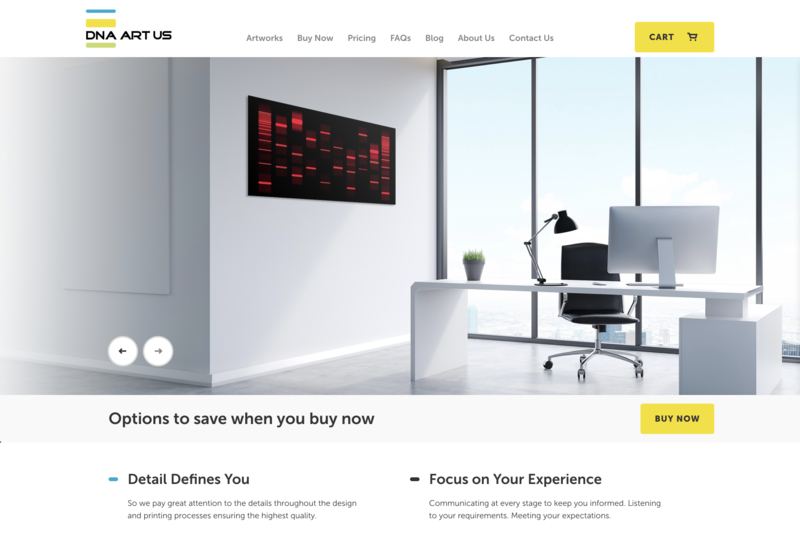 This, accompanied by an enticing and seamless buy now process, brings users down the sales pipeline, increasing conversions. Mobile compatibility was a key priority for the success of this project. 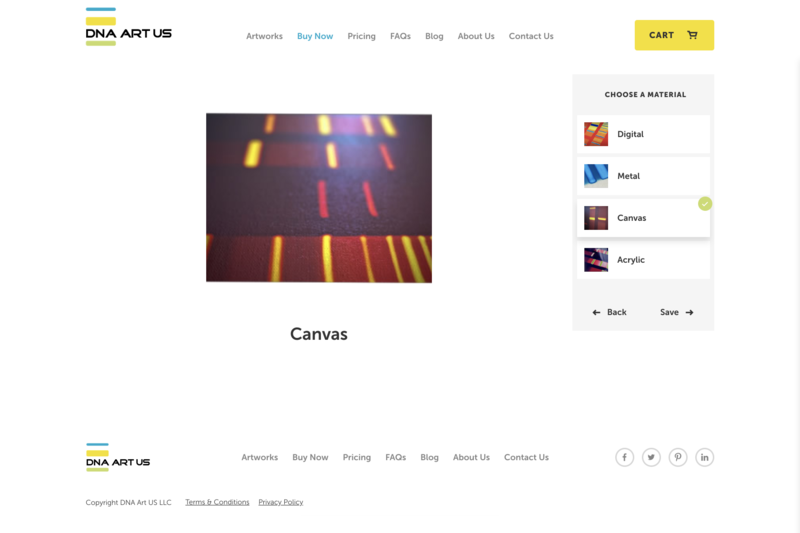 With mobile e-commerce becoming increasingly prevalent, a slick, responsive interface was a necessity. 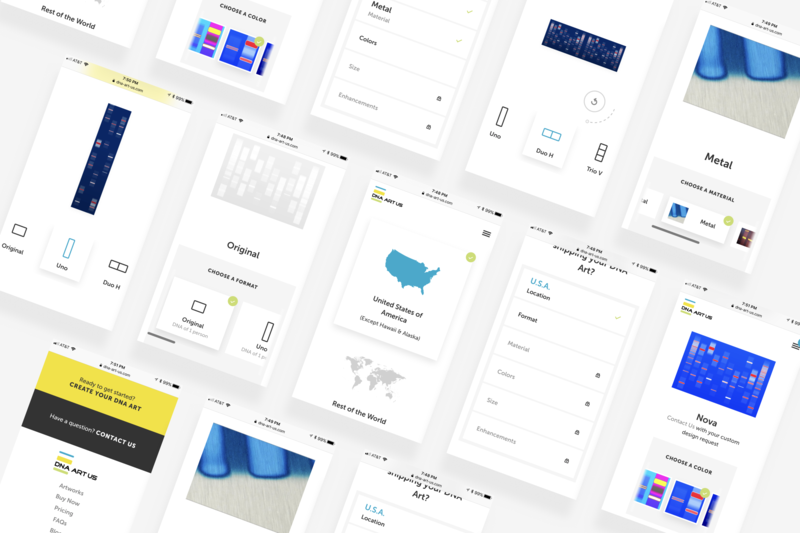 Our custom e-commerce solution provides users with full functionality on any device to make for a fun and simple customization process.